Who Needs an Employment Background Check? There are a lot of unscrupulous people going at lengths to evade law and order in society and as such employers have step up the employment process. Besides from an interview, they employ other strategies to select the best person for the job. It is becoming a common practice for companies to conduct employment background check on prospective candidate that they are considering for a position. It is mostly done on individuals going for high level position that requires a certain level of trust and responsibility. There are a number of ways of getting this done, it can be either through a government agency, a private company or even online. It is important for an individual to conduct an online background check on themselves as there is a lot of erroneous information out there that can affect the credibility of a person. Not knowing what information is out there about you is not a good thing when identity theft is on the rise. You might show up at a job interview or at the bank and only to hear that you have a criminal record or bad debt when in fact you don’t. It is pretty easy and efficient to do a check on yourself on the Internet. Here are a few steps that will guide you through the process. There are some websites that allows you to search information about yourself that is out there for free. You can search for these websites and conduct a thorough search. You can also search local records for free. Your local sheriff or state departments more than likely have online databases that you are able to access for free. If it is the case that your state and local sheriff’s offices do not have an online system where you can conduct the search, you can always go down to the physical office and give your information to them so they can check it for you. If none of the options listed above do not work for you then you might need to try a paid service. There are various private companies that offer employment background check for a minimal fee. You can either sign up on one of the websites or check the directories yellow pages and find an establishment that is near to you. 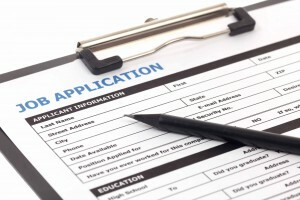 What is in a job background check? There are different parts to this kind of search. It includes the individuals’ employment history, criminal history, credit history as well as their driving record. As was mentioned before these information can be had for free but sometimes it is better to go through an agency so that you will get more credibly information. But if you do not want to go through that process you can simply use the information from the employee and find out about their past. You can contact the past employers that the candidate list on their application. You may have some challenge with this one as some companies have a strict policy as it relates to releasing information about past employees. Sometimes the most you will get from them is the employees’ position and period of employment. Sometimes they will refer you to agencies that offer such services. Also laws vary from state to state so it may be the case that in that state they are or are not allowed to forward past employees records to other companies. On most job application they ask for character references information such as name, and job title as well as phone number. A character reference is basically an individual that has prior experience with you that can validate certain information about you and say whether you are fit for a job. It is important that you ask the individual for permission to list them as a reference before you give out there information to employers. They will contact them as a part of the selection process to get background information on the prospective employee. This is why it is important that you notify them so that they will know what kinds of information to disclose to the employer. Also, be sure to find out ways to remove felonies from record before applying for a new job. A background criminal check also forms part of the information that an employer would want to know about a prospective candidate for a position. There are many sites that offers free criminal history but they are not the most credible source of information. They do not list their sources as well as there is nothing to evaluate the accuracy of the information. It is best that employers use county and state courts system as they have up to date information on individuals but this option is not free, the search attracts a minimal charge. Employers can get credit report information for free from various websites online. It is available once a year from any one of the three credit reporting bureaus. Individuals can use to keep up to date with their credit ratings throughout the year. You can get information on drivers’ history from some sites online for free although information may not be accurate. You can mention to your state motor vehicle office that you need the information for job purposes and they will provide you with it for a fee. There are several reports and searches that can be done on individuals either for job purposes or for personal reasons. They all provide different types of information to the individual conducting them or the company. Among the searches that is done on prospective employees include security background check.